A thoroughly fascinating proposition from the godfather of punk in a collaboration which looks the most unlikely on paper. The poetry of Walt Whitman recited by Pop, with backing from electronic gurus Tarwater & Alva Noto. There’s an intense brooding quality to Pop’s delivery - although it’s quite laid back in one light – and the soundscape behind teases that out brilliantly, with ambient washes and gurgles and clicks giving a very different view of the nature referenced in Whitman’s writing. No need to say any more except you need to hear this. So, me and Ennio on Valentine’s Day (for which a huge thanks to my wife, a most magnanimous gesture on her part, you might even say a bromantic one). I’m in general wary about film music taken out of context but those doubts are suspended when it comes to Il Maestro. He didn’t just compose the music, after all, he also arranged and orchestrated all the parts in most cases, plus here he is conducting the whole shebang as well. And it really was something to witness the power of about 130 souls on stage (the size of the audience at many greast gigs I've seen) harnessed in this way - two Hungarian choirs, 75 strong, the balance made up of the superb Czech National Symphony Orchestra. I know, I know, it's February, leave 2015 alone. But some things are too good to let lie. So another mini list, four great albums from last year. Get them into your life. A thrilling cross cultural project involving the Israeli singer and composer Shye Ben Tzur, Radioheader and composer in his own right Jonny Greenwood and a bunch of fantastic musicians from Rajasthan in India (the making of the album was also documented by Paul Thomas Anderson in the film of the same name released last year). Who contributes what can get a bit fuzzy at times (the sign of a true collaboration, perhaps) but the guttural, percussive vocals of Ben Tzur in Hebrew are a joy, Greenwood’s electronic interventions intrigue and the brass and string and mass vocals of the Express uplift and entrance. A couple of new albums to tell you about this week. Jaako Eino Kalevi (thanks Albert/Plugd) is a Finnish dude with a lovely line in bedroom pop meets Scandi-soul and a bit of electro pop on the side. Emma Pollock does great things on her new album with chamber pop and bitter memories. Still loving the Iggy Pop project with Tarwater and Alva Noto, interpreting the poetry of Walt Whitman (you heard me). And courtesy of Trunk Records, sumptuous library music by Armando Sciascia. Britta Phillips (of Luna and Dean & Britta fame) is releasing her debut album in April. There's a Pledge campaign running for all kinds of rewards and extras, get into that. The first track from the album is a beautiful treatment of an Evie Sands song from 1968. I got to see Ennio Morricone live the other night. 'The Ecstasy of Gold' was in the set. Tears, people, tears. Gorgeous new music from Giorgio Tuma feat. the voice of Laetitia Sadier, new album on the way. Tortoise, twisting jazz rock; Little Scream, impassioned white soul; Eska, beautiful cosmic soul. And Field Music, getting twitchy and progressive on their new album. 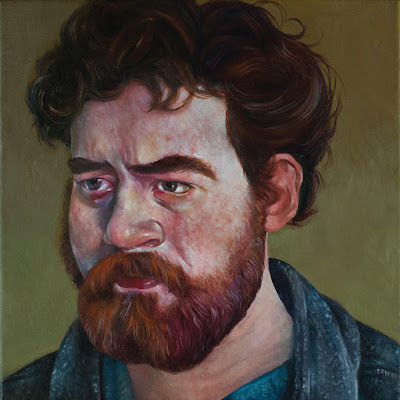 I had the great pleasure of seeing Daniel Knox play live in Cork last weekend. The show was in the deconsecrated St Peter’s Church (not the perfect venue for this music maybe, but let’s not quibble) as part of the Quarter Block Party festival. I’ve been a huge fan of his since his wonderful self-titled third album last year and this gig was the definition of much anticipated for me. This could be the first band I’ve ever heard from Nova Scotia and first impressions of the place are very promising. It seems to be the kind of place where literate downbeat songs of hometowns and well observed intriguing domestic details are recorded live and loose and lovely. 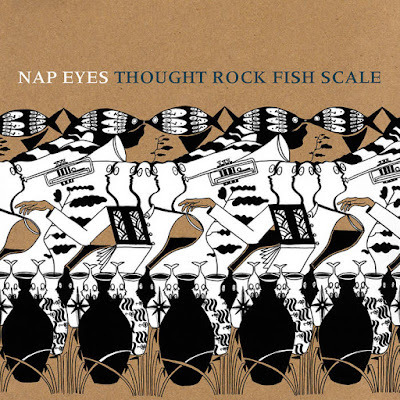 Musically, Nap Eyes are drawing broadly into the same gene pool as early Go Betweens, the time when the roots and the post punk (Creedence and The Velvet Underground) were equally revered. Singer Nigel Chapman’s dry but warm delivery has a bit of Lou Reed about it, particularly from around the time of the Velvet Underground album. Words are written first, you suspect, because they elbow their way endearingly into the line and the melody. The sublime ‘Lion in chains’, taking its sweet time, with as many verses as it needs, chiming guitars over a gorgeous vocal burr, like a comatose ‘Sweet Jane’. Another clutch of people playing these parts son and a raft of new music. Richard Hawley, bringing his A-grade folk/soul/whatever to Cork Opera House this month along with Marry Waterson & David A Jaycock, sparkling folk songs Tindersticks, back with more white soul orchestrations of the highest order Shearwater, epic protest music. Also Emma Pollock with lovely twisting chamber pop Nadia Reid, sweet fuzzy alt country Iggy Pop, reciting Walt Whitman over Tarwater & Alva Noto, gripping Cardinal, a cult classic w strings and trumpet fanfare. 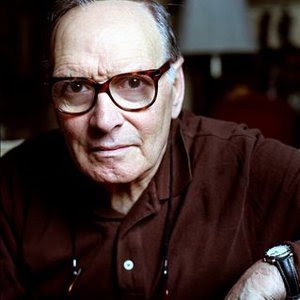 And Il Maestro Ennio Morricone bringing his 100+ piece group to Dublin this week. The Convergence Festival runs in London in March and there's another fine line up this year, including the wonderful "supergroup" of The Rajasthan Express with Israeli composer/singer Shye Ben Tzur and Jonny Greenwood. Anna von Hausswolff is also on the festival bill, hopefully they find a church organ for her to achieve maximum epic. Closer to home, Rozi Plain is at Quarter Block Party in Cork this w'end, finding a great niche between folk and kosmische; Morning Veils from Cork, spinning great freaked folk. Tortoise with Georgia Hubley from Yo La Tengo on sumptuous vocals; Joanna Newsom with more great baroque flourishes; The Drink making tremendous progressive math pop. And The Apartments, making heartbreak sound so luscious and inviting.